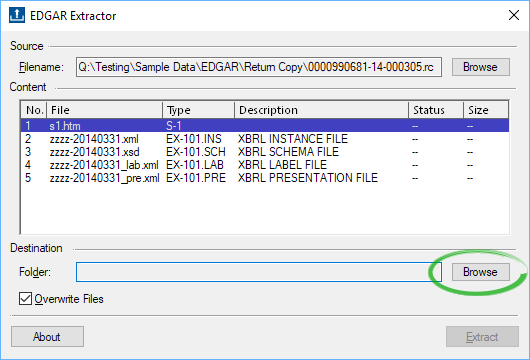 The SEC Extractor is a simple program that extracts the documents and form data from the SEC’s PDS files (and from legacy “return copy” files). You can run the program from any computer or network location (no installation needed). 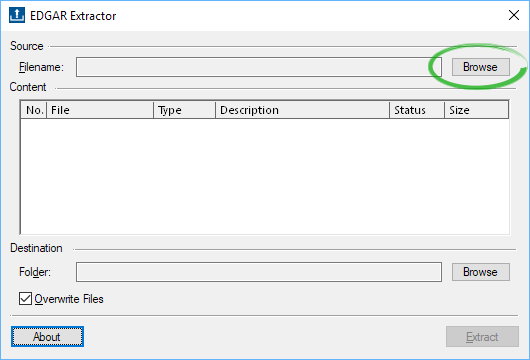 Then specify the file and the destination for the documents and click a button to extract the contents of the file. It’s that easy! 1. Choose your PDS or return copy file. 2. Set your destination folder.